When our team of LegalShield associates approached us to promote a new campaign to raise awareness of the company, we got excited. 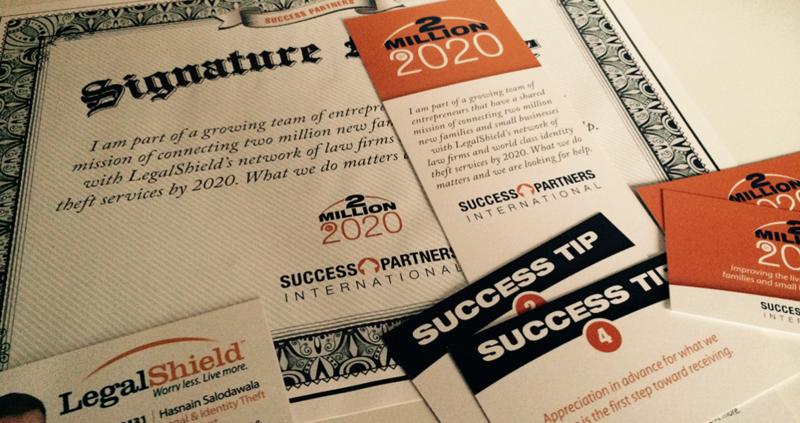 As LegalShield members and associates ourselves, we knew the value and saw the potential. 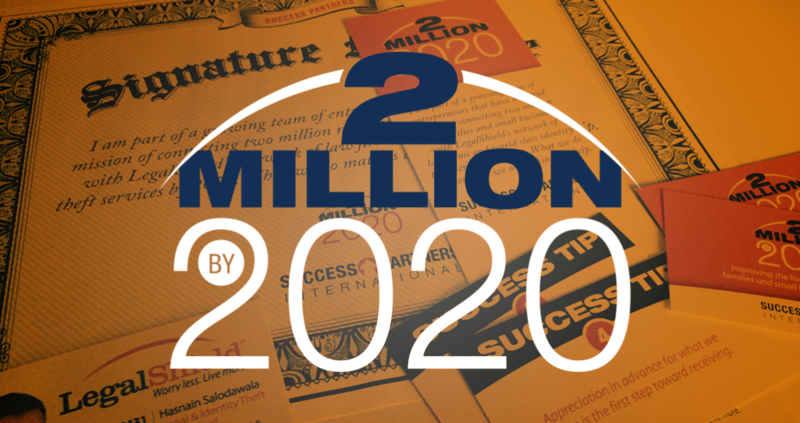 We created a “2 Million by 2020” logo to go along with a branded effort to raise awareness, including a signature message certificate, a series of tip cards to be used as conversation starters, bookmarks, and t-shirts.